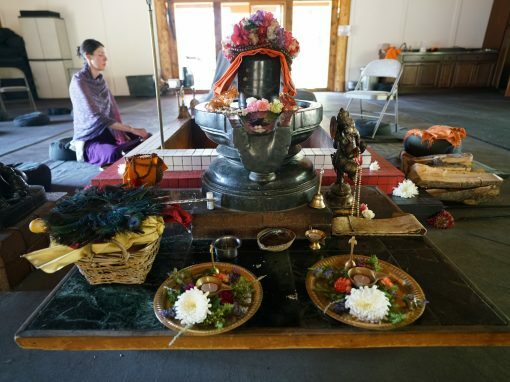 Shoshoni is a Yoga and Meditation Retreat Center in Colorado. It is the home of ShambhavAnanda Yoga, a practice founded in lineage and taught from the heart. ShambhavAnanda Yoga began in Boulder, CO with Sri Shambhavananda and a small group of yogis. 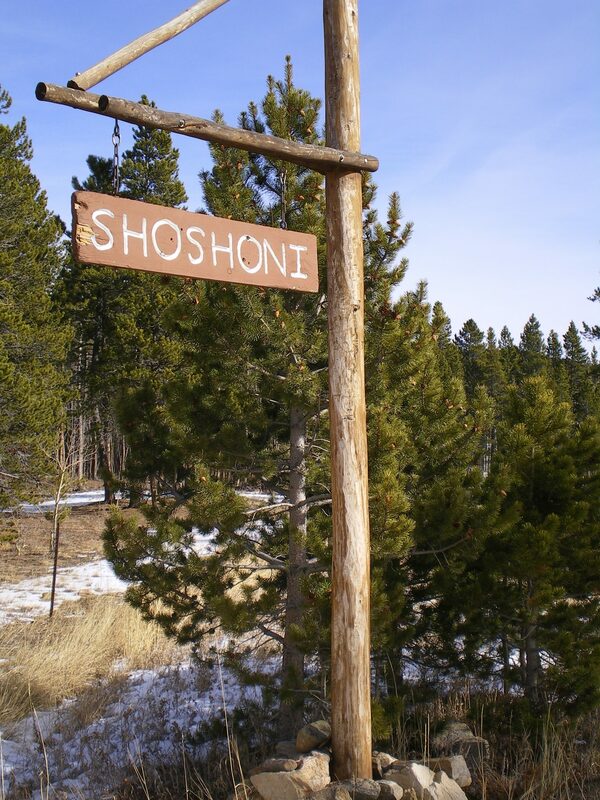 Shoshoni first opened its doors as a yoga and meditation retreat center. It was originally a summer camp, dating back to the 1930’s. ShambhavAnanda Yoga ran its first Yoga Teacher Training. It became one of the first Registered Yoga Schools when Yoga Alliance was founded in 1999. In 1975, Sri Shambhavananda led a small group of yogis to Boulder, Colorado. They opened the first vegetarian restaurant in the area and named it in honor of their teacher, Swami Rudrananda. For them, the restaurant was more than just an eatery- it was an arena for their growth. Sri Shambhavananda taught them how to use the challenges of running the restaurant to grow spiritually. By living, meditating, and working together they flourished. The success of the restaurant, and later, a bakery, afforded them the means to build their dream of a yoga ashram- a place where people could go to experience the yogic tradition through nourishing retreats, asana practice, meditation, and seva (selfless service). This what Shoshoni is used for today. At a time in America when yoga’s popularity outshines its original purpose, ShambhavAnanda Yoga stands as a living example of timeless teachings in the present-day. Sri Shambhavananda inspires students to combine hard work with heart work and use the practice of meditation to rise above and grow from the everyday challenges of life. 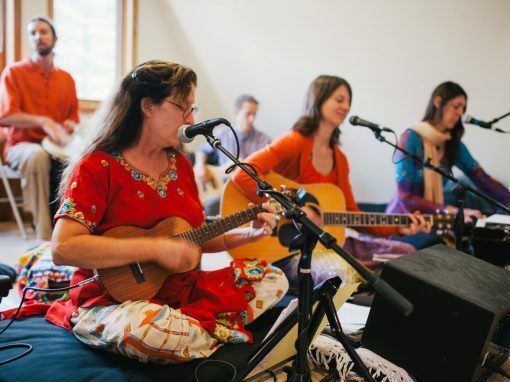 Today, various ShambhavAnanda Yoga ashrams and affiliate centers are run by gifted and dedicated practitioners who use the practice to grow and improve their lives. Each center has been given the blessing of Sri Shambhavananda to pass on the teachings of the lineage under his guidance. Visit one to learn how you can experience the cosmic teachings of ShambhavAnanda Yoga. Rishi Maha Mandaleshwar Sri Shambhavananda is the founder of ShambhavAnanda Yoga. 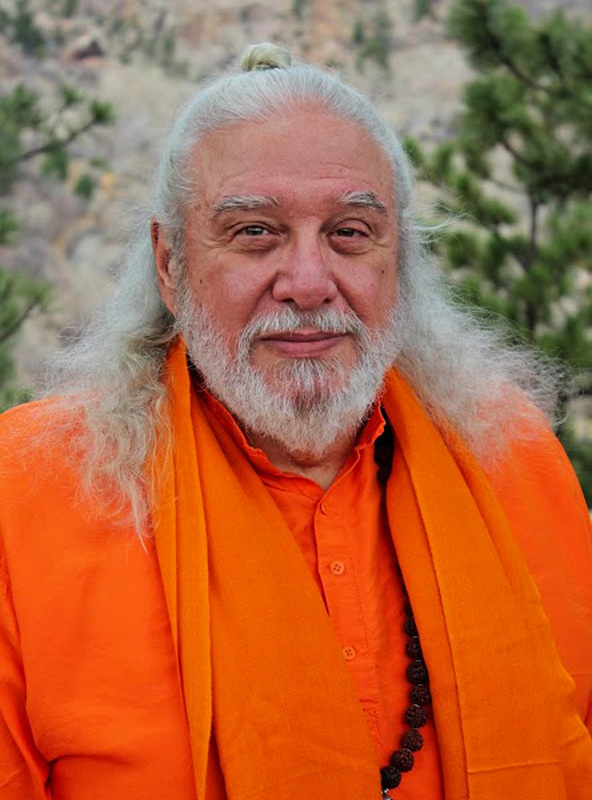 Known affectionately to his students as “Babaji,” he has devoted his life to serving those who seek inner change through the ancient disciplines of yoga. Sri Shambhavananda was born and raised on a dairy farm in the rolling hills of western Pennsylvania. 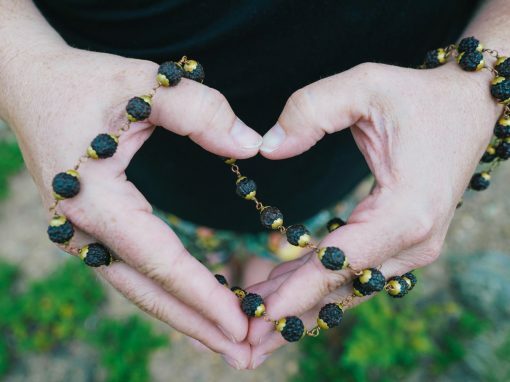 From a young age he showed an inherent sense of happiness and spiritual understanding that would lead him to make a strong immediate connection with his first spiritual teacher, Swami Rudrananda, and later with Swami Muktananda. He expresses eternal gratitude to these teachers for awakening the potential of his heart. Sri Shambhavananda is a blazing flame of inspiration and a constant source of spiritual energy for his students. He challenges the idea that spirituality is somehow removed from the world we live in, teaching that all the myriad conditions of our lives can be transformed into great joy through spiritual work. He describes ShambhavAnanda Yoga as the direct experience and insight into one’s true inner nature, available to anyone who is ready to surrender the distractions of the mind and open their heart. Sri Shambhavananda has nourished the growth of devoted students across the world for over forty years. He has founded three thriving ashrams, published three books, and inspired the development of numerous ShambhavAnanda Yoga centers. 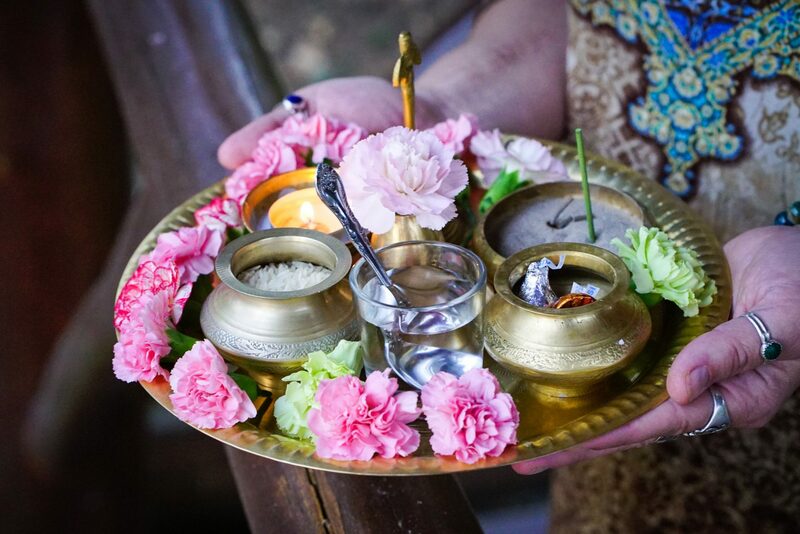 He welcomes you to come visit the sacred spaces he has created, learn about the practices of ShambhavAnanda Yoga, and discover how to lead a life of conscious growth. ShambhavAnanda Yoga meditation practices are rooted in the ancient tradition of Kashmir Shaivism, which sees the entire universe as a manifestation of divine consciousness, or Shiva. Through regular, whole-hearted practice, we begin to see this divinity within ourselves. Our meditation practices are diverse yet simple, practical yet profound. They begin on the cushion and in the heart, using breath and mantra to experience what lies beyond the mind. With practice, this subtle awareness is cultivated in all of life’s circumstances, bringing the light of consciousness with you everywhere you go. The practice of ShambhavAnanda Yoga asana begins with a strong foundation in body awareness. From there you move deeper to explore your own personal experience of yoga through inner focus and surrender. From soothing hatha to creative vinyasa style sequencing, this practice is available for beginning through advanced level students. ShambhavAnanda yoga teachers respond to the energy of the class through intuition, intelligent sequencing, and depth of practice. 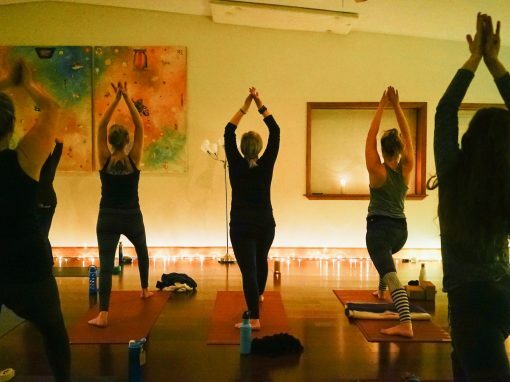 Our room-temp classes incorporate props and modifications with the goal of making yoga rewarding for everyone. We believe that the ultimate purpose of asana is to cultivate a meditative state; to guide you inside where your potential awaits.